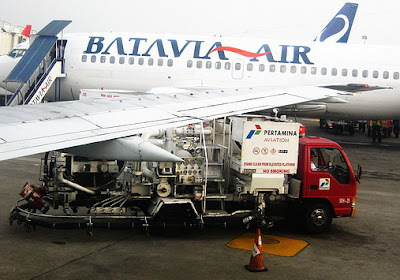 At Juanda Airport (Surabaya, Indonesia), underground fuel pipes allow refueling without the need for tank trucks. 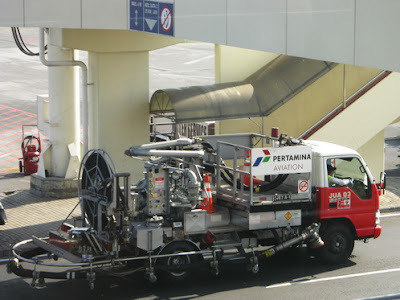 This red truck just carry the necessary hoses and pressure apparatus, but no fuel. Such an eye catching colour! that's very interesting...great shots Lina...thanks for coming by again! You can't miss those trucks, that's for sure! Yea for scarlet, yea for red! Where no ruby shows its face! Please come and take a look at some of the RUBIES at my page. It's great how you captured all the little bits of red here and there in the scene!